LinkedIn’s CEO Jeff Weiner recently predicted that the most important trends impacting the future of work are - AI and automation, the skills gap, and the rise of independent work. Front-end recruiting activities -- from resume collection, candidate sourcing, interview scheduling, coding skills assessment, candidate ranking -- on top of this matrix, would broadly result in the area in the bottom left quadrant. 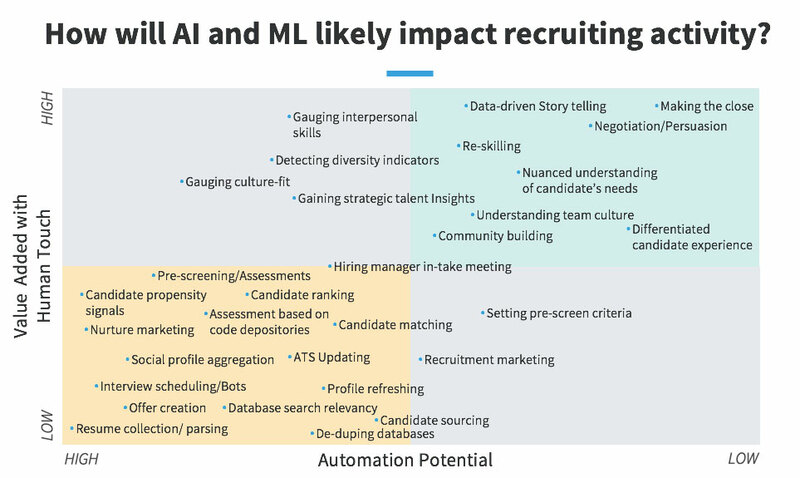 These are the activities that are likely to be automated first, given that computational abilities are out-pacing efficiencies of human decision making in the recruiting process. 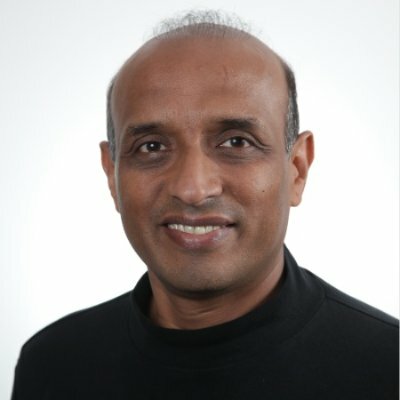 In fact, there is a justifiable argument that automating many of these activities would streamline the front-end process, remove mundane and repeatable tasks from the system and ultimately improve candidate experience. Augment your current skills with interpersonal and behavioral assessment capabilities. Max Tegmark’s book “Life 3.0: Being Human in the Age of Artificial Intelligence” is a good reference on the need for skills like interacting with people and how to develop social intelligence in the AI-driven world. Get comfortable with data analysis and interpretation. Your stakeholders and clients are going to expect you to be their talent consultant. LinkedIn’s upcoming Talent Insights products are going it make easier for you to access the data and insights on talent - on demand. It would still require your expertise on interpreting this information. Start strengthening your instincts about your candidates, hiring managers and stakeholders. No amount of insights is going to be valuable if they are not combined with your instincts to deliver Talent Intelligence for your clients and candidates.